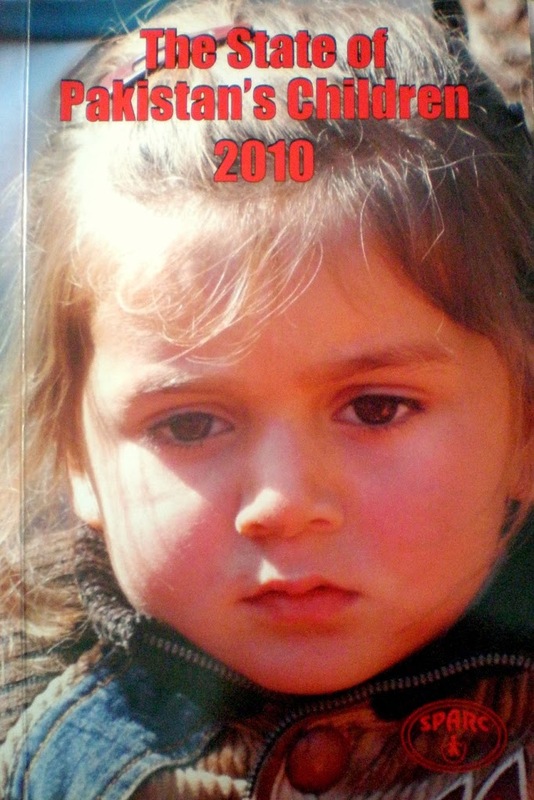 ISLAMABAD: Year 2010 has been a tumultuous year for children in Pakistan, claimed a report ‘The State of Pakistan’s Children 2010’. The comprehensive report highlighting issues of children was launched by Society for the Protection of the Rights of the Child (SPARC) here on Thursday. The annual report portrays a gloomy picture of the state of children claiming that “out of the six million children affected due to floods, nearly 3.5 million remain at risk.” It also stated that 92 children died while 118 children were seriously injured due to militancy in 2010. Around 210 children were affected mainly due to bomb blasts. The report also claimed that 187 children committed suicide and 80 attempted suicide last year. “Challenges of conflicts, terrorism, and violence, abysmal state of health and education sector, and lack of legislative initiatives” added to the misery of the Pakistani children. The speakers at the report launch included Bushra Gohar, MNA; Terje Barstad, Deputy Head of Mission from the Royal Norwegian Embassy; Samar Minallah, Dir. of Ethnomedia; Arshad Mahmood, Ex. Dir. of SPARC, and Qatrina Hosain, a senior journalist. Ms. Bushra Gohar said that the report highlights the need for reforms in FATA which is a critical issue. She also invited suggestions from civil society for the formulation of legislation on child right and protection. “Lack of political will, poor budgetary allocation, rampant corruption and health not being government’s priority” were proclaimed as reasons of Pakistan’s failure to achieve EFA and MDG goals in the education and health sector. Mr. Terje Barstad expressed that Pakistan has a long way to go in the implementation of the Recommendations made by the UN Committee on the Rights of the Child. “The government of Khyber Pakhtunkhwa (KPK) took a positive step towards addressing violence against children by propagating the KPK Child Protection and Welfare Act 2010 in September” informed Ms. Amina Sarwar, research officer of SPARC. Samar Minallah spoke on culturally sanctioned violence against children and highlighted the different forms of forced child marriages such as Vanni, Swara, Sung Chatti and Irjaai though a documentary which explained how girls have paid the price. “While the trend of child labour is decreasing globally but unfortunately in Pakistan there has been an increase in child labour” said the report. The report however stressed on case studies rather than providing substantive and authentic data and figures on subjects of violence against children and child labour. The yearly report quoted an NGO, ‘Sahil’ as claiming that 1216 cases of sexual abuses reported across the country in 2010. In 2010, about 1225 juvenile prisoners comprising 1074 under trial and 151 convicted were reported detained in different cities. Arshad Mahmood regretted that no concrete steps were being taken at official level to address the critical state of child rights in Pakistan. He urged for a national commission and proper budgetary allocation for the protection of children. Qatrina Hosain, a senior journalist condemned all forms of child labour stating that children are exploited with all kinds of sanctimonious reasons. She urged the public to “Break the silence” against child domestic labour.